Today I want to spread some joy. I am on a big high !!! I’m jumping with excitement. I live close to an important estuary in Guaymas, Sonora, Mexico. This mangrove lagoon is called El Estero del Soldado (The Soldier’s Estuary). It connects with the Sea of Cortez. Like other lagoons along the northwestern coastline of Mexico, this estuary is a “nursery of the sea”. 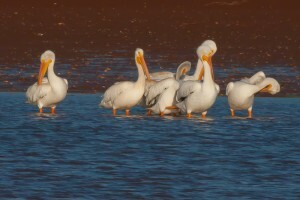 It is the birthplace for many creatures that live in the Sea of Cortez. It is also part of an important flyway for birds that migrate from the United States each winter. Today I spent some real quality time at this beautiful lagoon as I greeted the seasonal arrival of many migrating birds. 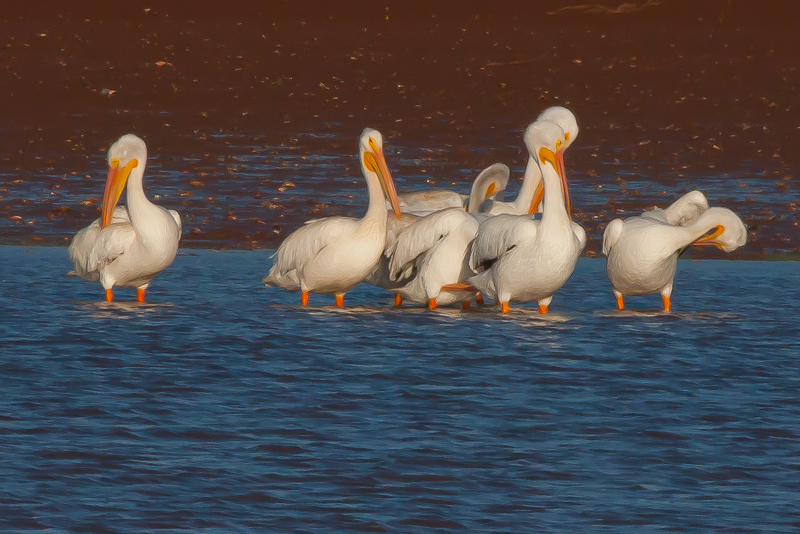 I said “welcome” to a group of White Pelicans who came down from the USA for an extended visit. Likewise, my enthusiastic “hellos” rang out to the egrets, terns, ibis, and spoonbills who had just arrived. What a joyous celebration as these creatures came down to spend the winter months with us. Their arrival celebrates the wonder of connections in Nature. In visiting us, they are a testament to how everything in Nature is connected to everything else. My heart is also joyous because the arrival of these birds celebrates humanity’s conservation of this lagoon. We did not always have cause to celebrate. And there are still forces of ignorance plaguing the scene. Years ago, our government wanted to destroy the lagoon and turn it into a marina. Responsible people in the community and from the local university ultimately joined with World Wildlife Fund and Conservation International to create a wildlife preserve. More recent efforts have been forthcoming to turn the lagoon into a national park. There are still dark forces present in the State of Sonora government who want to see this treasure become an income producing recreational park. But, thanks to strong local community support, there is great resistance. Part of my joy comes from seeing the local community join together to stop the state government from proceeding with their uninformed folly. And with this, a group of local scientists are now part of an expert team who is forming a management plan that will result in conservation regulations that will have the force of law behind them. We read a lot about the great struggles in the USA to preserve the protected status of the wolf – a critically important top predator. Poorly informed government officials, emotional and greedy opposition from ranchers, and lots of dirty politics have produced a real ecological mess. It is very refreshing for me to see the community and the academics from a small Mexican city step forth to preserve an ecologically important lagoon that is vital to the health of the Sea of Cortez. I am very proud to know these people and to be part of their effort. 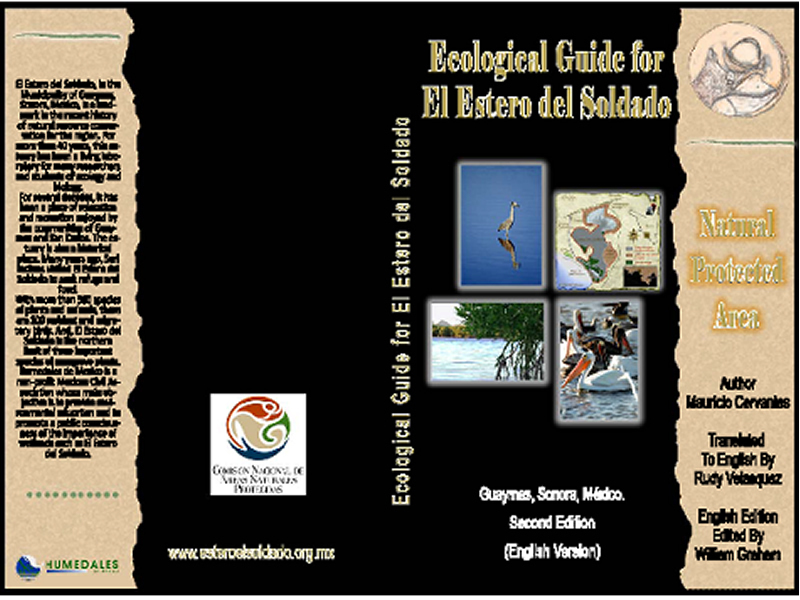 El Estero del Soldado (The Soldier’s Estuary) is a very important body of water. 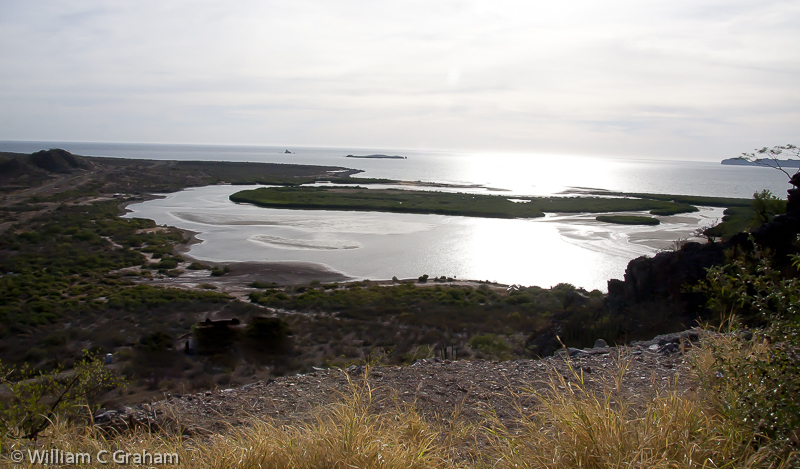 The Sea of Cortez depends upon this estuary, and others, to maintain a resilient body of life. For this reason, there has been a strong effort by ecologists and the Mexican Government to protect this estuary as a nature preserve. Here, we describe why El Estero del Soldado is such an important place and why we ask you to help us protect this ecological treasure. Estuaries are distinct and irreplaceable coastal bodies of water where nutrients from sediments, saltwater from the ocean, and sometimes freshwater from rivers are mixed by daily tides to create dynamic, diverse, and highly productive ecosystems . This regular tidal flushing within the estuary also moves nutrients and organic materials out to sea, thereby increasing the productivity of the Sea of Cortez. These unique conditions of mixing nutrients create and attract an enormous amount of plant and animal life. Estuarine environments are among the most productive on earth, creating more organic matter each year than comparably sized areas of forest, grassland, or agricultural land. Estuaries are the most productive water bodies in the world. Many of the fish, shrimp, and lobsters that we find in the Sea of Cortez were born and reared in estuaries such as El Estero del Soldado. Estuaries are places where fish, birds and animals of all sorts congregate to feed, find refuge, grow to adulthood, and stage migrations. Bird life, both local and migratory, depend completely upon estuaries for both their food and their habitat. 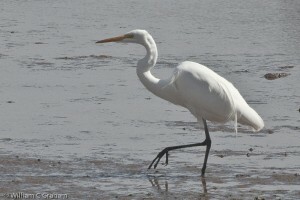 The most commonly seen wildlife in an estuary setting are birds. An estuary is an essential life support system for migratory birds, allowing them to rest with ample shelter and protection from predators. An estuary is also an optimal place for birds to find fish. For that reason, many birds like to build their nests in an estuary. El Estero del Soldado is a special kind of estuary because it contains mangroves. A mangrove is a specialized marine ecosystem consisting of a group of mangrove plants growing in muddy, loose and wet soils. Mangroves are highly productive but extremely sensitive and fragile. Mangroves provide shelter to many kinds of birds and marine life. The roots of the mangrove trees grow in and out of the water, making a forest of roots where the marine animals can hide. The leaves and stems from the mangrove trees fall into the water, becoming detritus for small marine creatures to eat, forming the base of the food web. The insects, small fish, shellfish, and especially juvenile fish that feed on detritus from the mangrove plants become the food for the animals higher up in the food chain, like larger fish, amphibians, reptiles, and birds. Mangroves are the nesting grounds for countless creatures including juvenile fish, invertebrates, and many water birds such as the great white heron, reddish egrets, and roseate spoonbills. Mangroves are also recharge underground water supplies by collecting rainwater and slowly releasing it. The most obvious creatures you will see when you visit El Estero del Soldado are the birds. Birds are a prominent part of most mangrove forests and they are often present in large numbers. 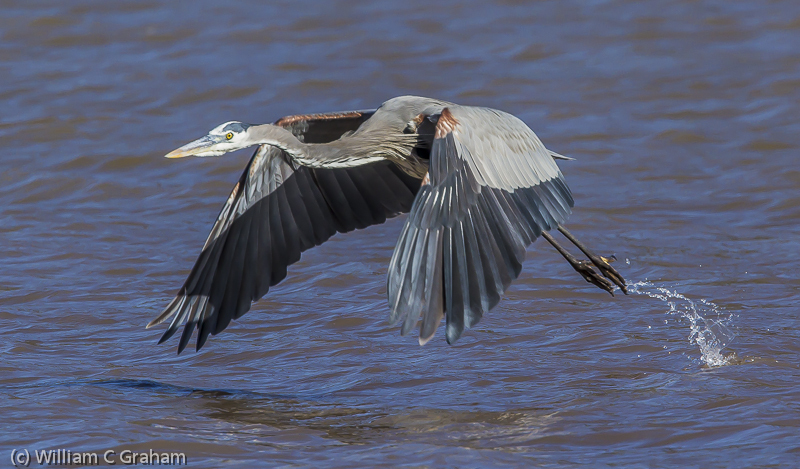 One of our most easily recognized estuary residents at El Estero del Soldado is the Great Blue Heron. This long legged slender necked bird is a year round resident. Herons require the expansive foraging habitat found in El Estero del Soldado. Fish, amphibians, insects, bird, and small mammals all form part of their diet. They also need large undisturbed mature treed areas, such as the mangrove tree, within easy flying distance of feeding areas for nesting. Threats to these birds are eagle predation, human disturbance, and loss of foraging sites. Estuaries are among some of the Mexico’s important national natural treasures. The important role they play in the ecological health of the Sea of Cortez needs to be protected. The most prominent hazard to this health is mankind. Population overload, pollution, deforestation, construction, over-farming, and over-fishing are just some of the types of damage that is sustained in estuaries around the world. The estuaries south of El Estero del Soldado suffer from chemical pollution due to agricultural runoff. The health of El Estero del Soldado has been threatened by a proposed marina, other commercial development, and destructive human activities. Fortunately, pressure from various groups has resulted in this estuary becoming a protected reserve. Development is now less of a threat. The task at hand is to prevent ecological damage due to human activities such as the collection of fish and invertebrates, the use of motorized vehicles such as ATVs, and the introduction of dogs. The taking of fish and invertebrates upsets the estuary’s delicate food chain. The many birds in El Estero del Soldado see domestic pets and ATVs as natural predators. As you enjoy the ecological treasures within El Estero Soldado, please help enhance its health by respecting the creatures who call this body of water their home. Oh Bill….as always you release my soul to soar with wonder and joy. Your photos are always so touching….make me say ‘more’. I scream from deep inside with a passion to ‘Do More’ to help Mother Earth stop the battle to destroy her and to mend any and all things that possibly can be. You always leave me with things i want to ask and have more knowledge about. These past 13 months have been filled with more challenges than I ever hope to have again….and so I keep meandering along and doing all that I can to try to show others about the great treasures our lives are privileged to be a part of …..and just maybe get them to realize in some small way how they can help. Thank you so deeply for all you do for our world and for the hope and light you give us in so many ways. I often go back to reread them….and just soak up the slice of wonder you have packed inside all of them. Kudos…..Keep growing and glowing ……we need the light! Thanks for the continued encouragement. It is wonderful to have you in my cheering section. Thanks Karen. Glad you liked it. Thanks for the uplifting post and beautiful photos. It’s so rare and so wonderful to hear good news about conservation efforts. Too often, greed and special interests take precedence over protecting our beautiful planet. It’s a hopeful sign to see the tide turning in a positive direction. Your response is exactly what I had hoped to hear from people. There are some true heroes out there and they need to be praised. We will be on the next migratory stream, leaving Canada in a few weeks. Looking forward to enjoying the estuary, and all of the birdlife. Amazing !!! : I was thinking about you guys this week and wondering where/when. Glad you will be back and looking forward to having some fun together. Hi Bill – ditto to the others’ comments about the uplifting post and beautiful photos! The estero is such an amazing place to visit, both above and below the water. It was real exciting to be here when they arrived. I think they were just coming in as I arrived at the estuary. Also, I have a local Mexican lady who wants to get involved with the turtles. Let me know when you are coming down next and I’ll arrange an introduction. WHen I saw the grey crane I was delighted and more so when I read where you are and what the community has accomplished. Thank you for all the reasons noted by other commentators but also thank you for being a clean, clear white light beacon for other struggling groups fights the Forces of Evil–big money, spoilers of environments, the ignorant, corporations whose profits are paramount, etc. You provide a viable blue print. Thanks for the encouragement, Gwenie. Buried in the morass of stories and protests about ecological evil and incompetency, there are some bright lights. We need to keep these lights burning. We need to encourage those who are doing good work. Your post has me wondering what ‘patterns in nature’ might be happening here on the Eastern slope of the Sierra Madre Occidental of which I am totally oblivious? The elevation is nearly 4000′, region is semi-arid….with a granite peak rising to about 7000′. I have been curious about the dominance of yellow flowers. Other colors can be found, but yellow flowers appear on so many different species of plant life so that everywhere you look, you see ‘yellow’. Thanks Sylvia: Can anyone identify the flowers?